As if the popular cruiser needed any more recognition, a 1970 Dodge Charger R/T appears next to Vin Diesel’s character in a new movie poster for Fast and Furious 8. The actor shared the sneak peak on his Facebook page earlier this year. The post confirmed the film’s April 14, 2017 drop date. In the poster, Diesel’s character, Dominic Toretto, stands in the middle of a road next to the historic muscle car. The words “New Roads Ahead” appear above him, but it’s unclear whether the phrase is a nod toward the movie’s plot. Only time will tell. If you’re a fan of the Italian Job remake, the film will be directed by F. Gary Gray, the man who remade the 1969 classic. 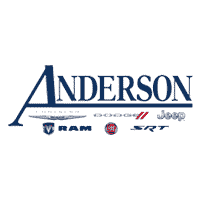 If you have any questions or if you’d like to test drive a 2016 Dodge Charger, visit Anderson Chrysler Dodge Jeep Ram FIAT. We proudly serve drivers in the Lake Havasu City, Arizona area.